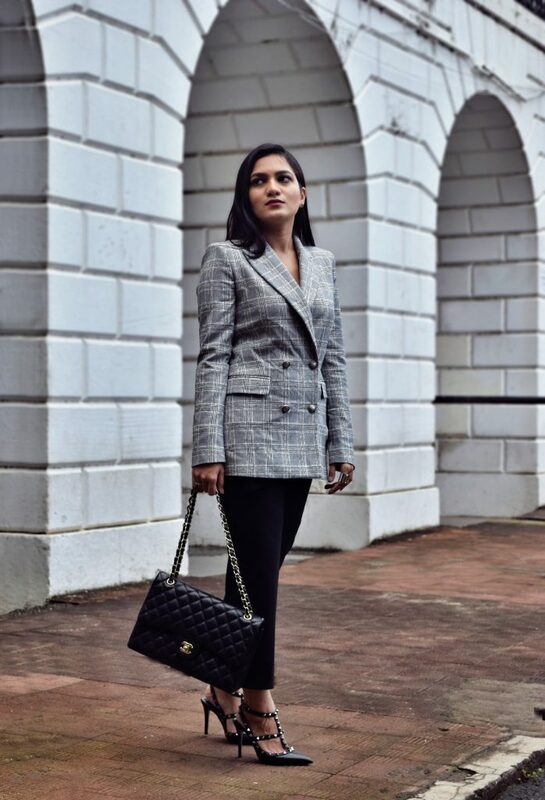 As I am always dashing to and fro between meetings I am constantly experimenting with my work wear ensembles. 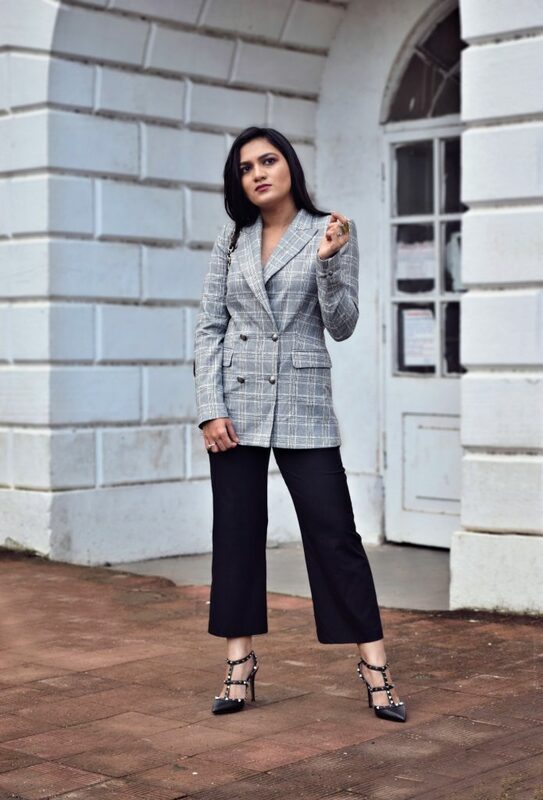 Ever since I started blogging and became more aware about fashion it is almost impossible for me to limit formals to a basic shirt and trousers/skirt combination. 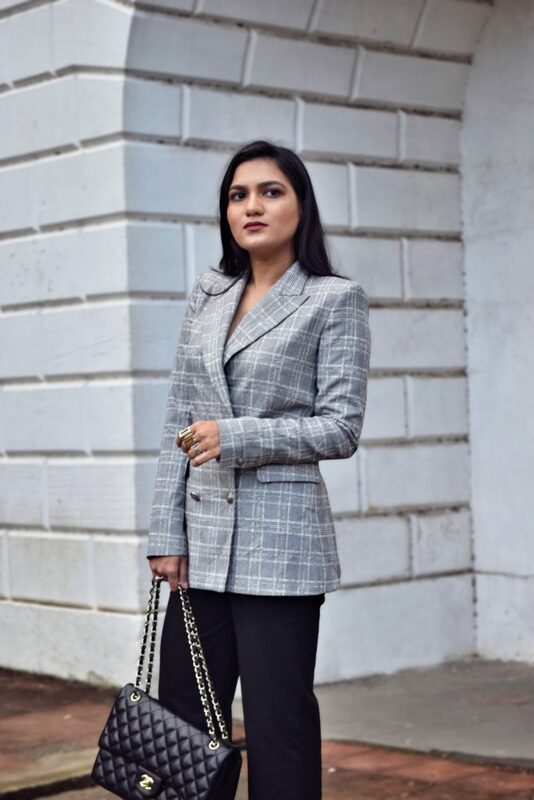 I always get emails from many of you beautiful ladies asking how to spruce up work wear ensembles, so in this look I have worked around a wardrobe staple which is a workwear basic in a not so basic way. 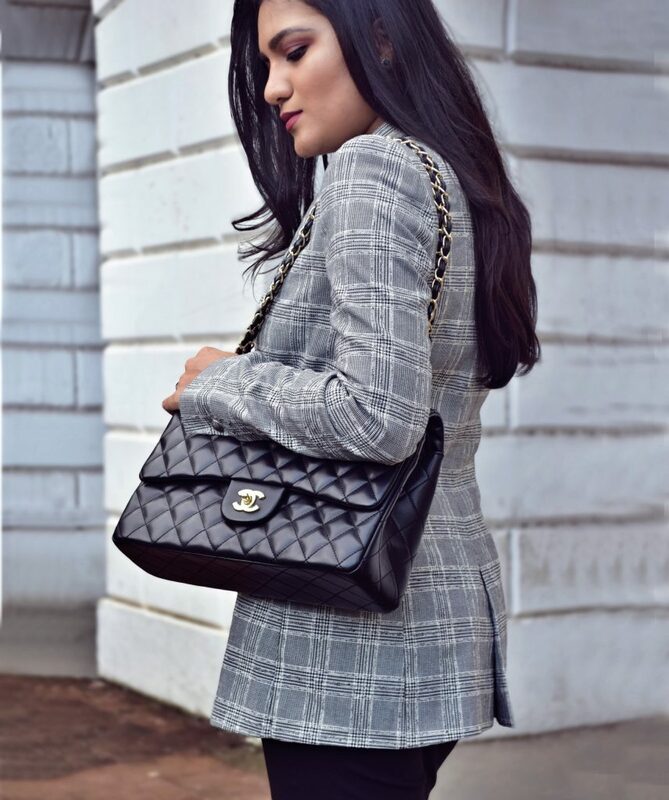 With just a slight improvisation, I opted for a sharp grey checked oversized blazer an extremely on trend piece for fall with the hue, checkered pattern and power shoulders. Kept it buttoned and paired it with cropped flared trousers. To compete the look studded Rockstud shoes and my classic flap bag.